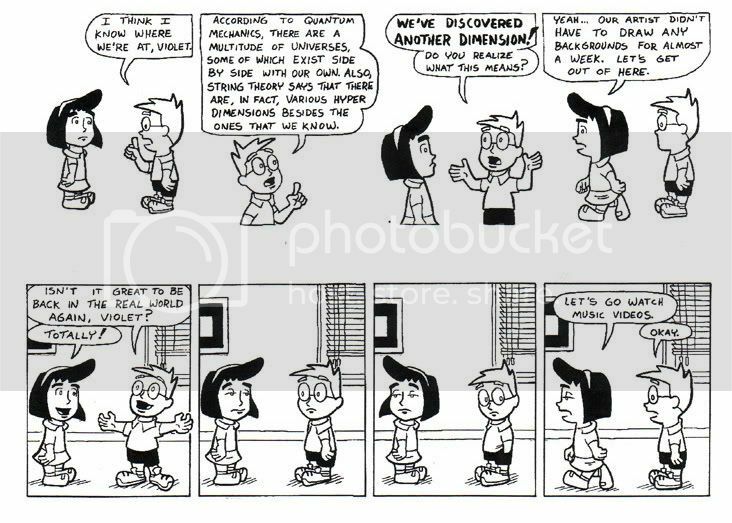 As some of you might know, "Young Cannibals" was originally a comic-strip submission that I sent to the major syndicates. None of the syndicates picked up YC, but that was okay; I actually enjoy doing it as a web-comic more than I think would have as a daily comic-strip. 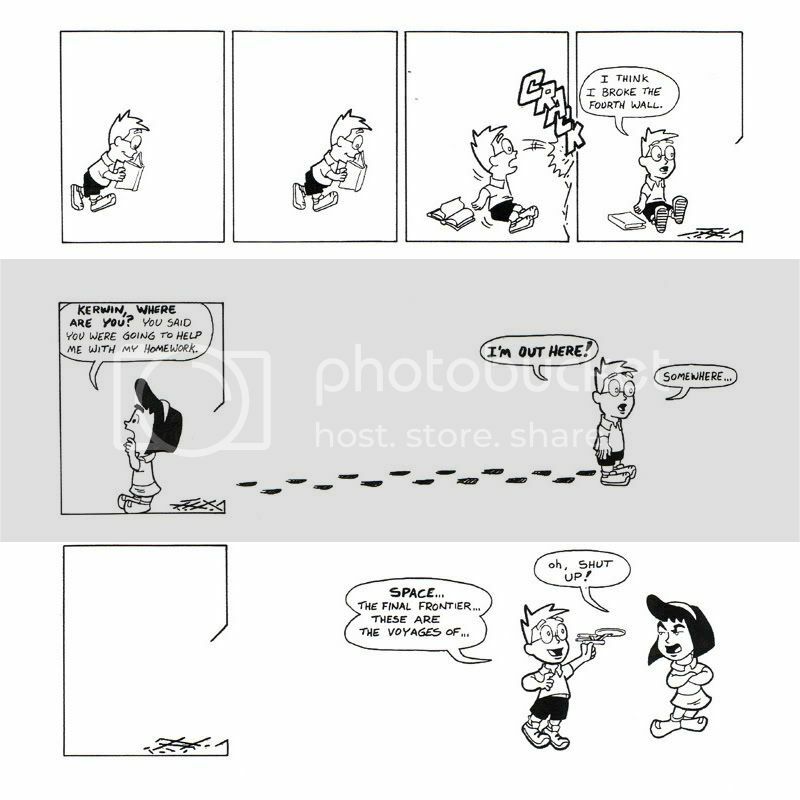 The first dozen or so strips that were posted here were, in fact, color versions of YC's syndicate submissions. The last five strips in that package that I sent to the syndicates had a story similiar to the one that I just finished in the web-comic. As a special bonus, I am submitting to you loyal readers that story as it originally appeared (along with Violet's slight character design). Why Can't I Be Ambidextrous?